Our member community is now more than 6,500 strong — the largest it’s ever been — and it's time to celebrate! Join us as we launch a new series of members-only field trips in select Texas cities. Thanks to the support of generous folks from all over Texas, we’re thrilled to report that our member community is now more than 6,500 strong — the largest it’s ever been! 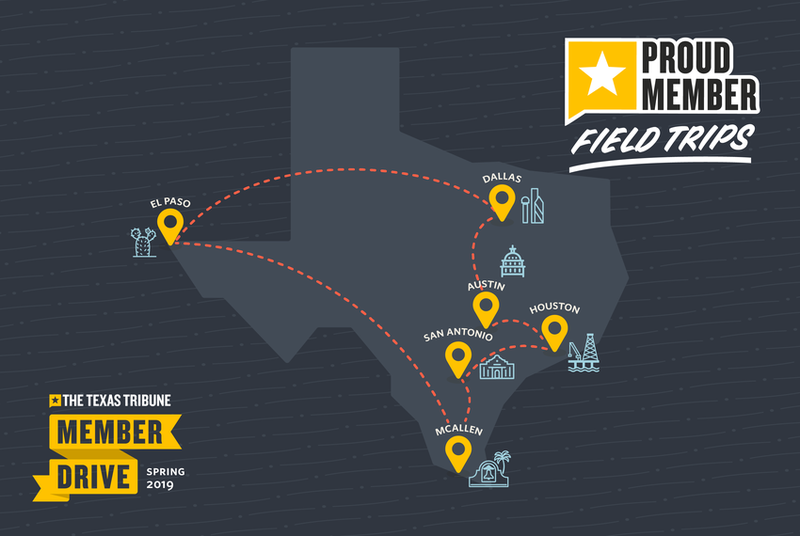 To celebrate this moment and keep the momentum alive, we’re expanding our member benefits to include a new series of members-only field trips in select Texas cities. Why? Well, for one, we’ve heard you like our events. But more important, we want to thank the people who make our journalism possible and help connect our members with others who appreciate journalism in the public interest. Our work takes a village, and we’re eager to get to spend more time with the folks in ours. To make sure you’re on the invite list when we head to your city, become an engaged member today by making a tax-deductible $100 donation. If you’re a current member interested in increasing your gift to engaged member status, email us at membership@texastribune.org and we can help you adjust your donation preferences. The first stop on our statewide tour will be an evening of #MembersOnly fun at Interabang Books in Dallas on Tuesday, April 30. We’ll kick things off with drinks and light bites followed by a Q&A between Texas Tribune CEO Evan Smith and Dallas-based author Ben Fountain on the 2020 campaign and Ben’s latest book, Beautiful Country Burn Again. And if you’re not a Dallas resident, don’t worry. We’ll be hosting members-only field trips later this year in McAllen, El Paso, San Antonio, Houston and Austin. Want to pitch us on a speaker, venue or activity in your city? Shoot me an email at sglen@texastribune.org and let me know your favorite hometown hangs.